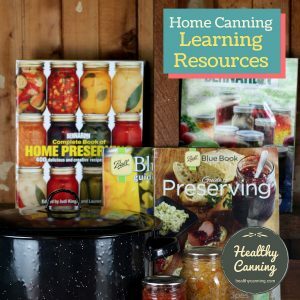 Whether you have a dietary requirement, or a desire to make healthy eating choices, home canning is a simple way to reduce the amount of sugar in your diet.” Fresh Preserving & Canning Questions. Ball Web site. 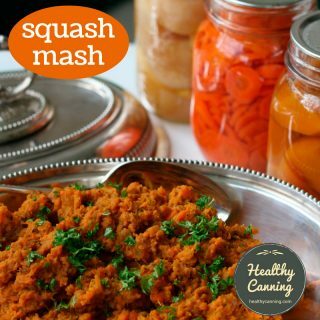 Accessed March 2015 at https://www.freshpreserving.com/tools/faqs. 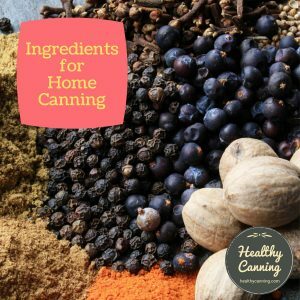 When many people start considering home canning, thinking it a “healthy alternative” to commercially-made foods, they are often speechless and dismayed at the quantities of refined white sugar called for. The dismay doubles when they find that the cargo-ship loads of sugar are called for not just in jams and jellies, but also in relishes, pickles, ketchups, chutneys, etc. 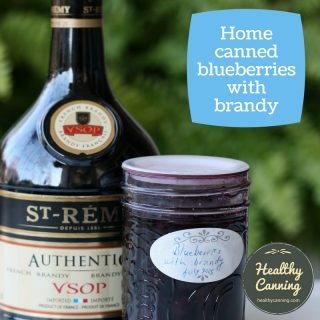 In fairness, it’s really not possible to make such traditional home canned preserves without some form of sweetening being added, as some sweetness is an essential part of the taste profile and balance of those items. That being said, the good news is that it is possible to make them without sugar, using sweetening substitutes. 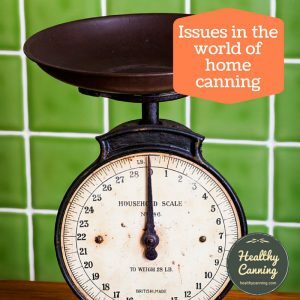 Stevia and Splenda® (aka sucralose) are two sweeteners that aren’t affected by the heat of processing involved in home canning. With them you don’t need to worry about the warnings about “bitterness” or “degrading”, etc. that you will see about other sweeteners. 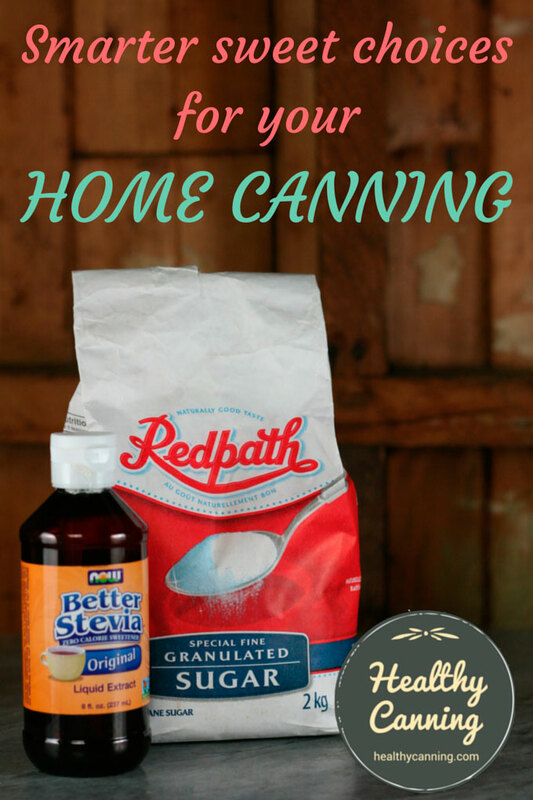 In the recipes on HealthyCanning.com, we’ve chosen to go with concentrated liquid stevia as our alternative sweetener. It’s all natural, genuinely 100% calorie free, and easy to use. For every teaspoon of liquid stevia we call for in the recipes here, it is generally replacing 1 cup (225 g / 8 oz) of refined white sugar. 1/2 cup of sucralose (e.g. Splenda). “Laboratory tests have shown that half as much sucralose as sugar in the original recipe provides adequate sweetening. 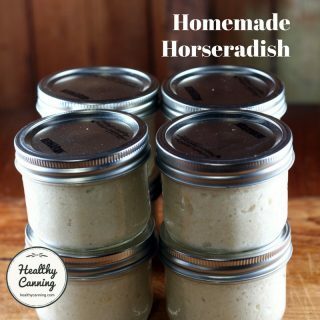 For example, if the recipe calls for 1 cup sugar per quart of water, use ½ cup sucralose instead of the sugar.” National Center for Home Food Preservation Self Study Course. Module 3. 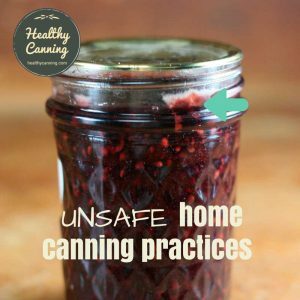 Canning Acid Foods: Canning Liquids for Fruits. Accessed March 2015. Note that using other sweeteners, even other forms of stevia than liquid stevia, will probably increase the calories / carbs / Weight Watchers Points Plus in the recipes, so if you care about that you’d need to recalculate the nutritional values yourself. If you use a solid sweetener like refined white sugar, or “like for like” stevia, or sucralose / Splenda, you will want to dissolve it in some of the liquid from the recipe. 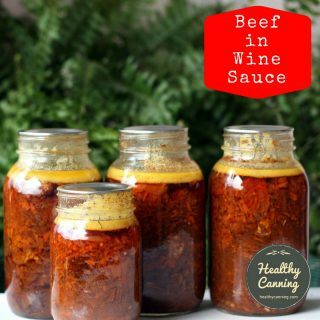 Generally, do this by taking some of the liquid from the recipe, either water, vinegar or juice depending on the recipe, put in a small saucepan, add your solid sweetener to it, whisk it in, and heat, whisking frequently, until your solid sweetener is dissolved completely. Then add the liquid back into the recipe. 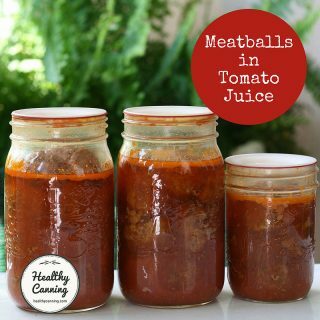 The liquid stevia we call for can be added at any point in the recipe; you can even add some more at the very end just before canning when adjusting the taste of your product. Note that when we say “sugar-free”, we acknowledge that we really mean “free of added sugar.” Many foods have naturally occurring sugars in them! What about honey, agave, etc? 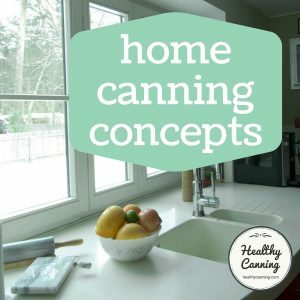 Sometimes in “sugar free” canning recipes, people use ingredients such as honey, agave nectar, corn syrup, maple syrup, etc, instead of sugar. These of course are really just sugar in other forms, and as such, aren’t of any use to people needing to reduce their sugar intakes for medical reasons, or wanting to for other reasons including weight management, etc. 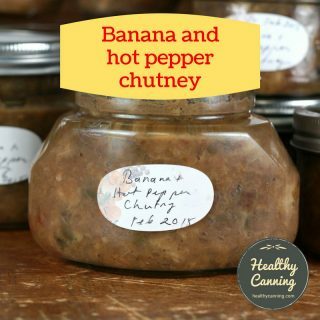 HealthyCanning.com may from time to time include recipes using those ingredients — if only because we’re not fanatics about the sugar-free topic — but the vast bulk of the recipes will always truly be free of added-sugar. 1. 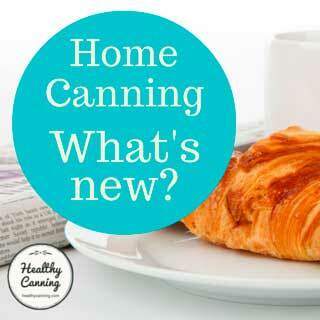 ↑ Fresh Preserving & Canning Questions. Ball Web site. 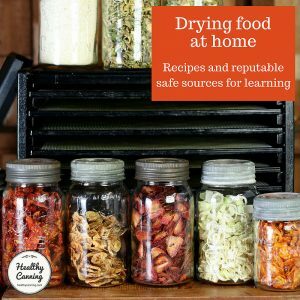 Accessed March 2015 at https://www.freshpreserving.com/tools/faqs. 2. ↑ “Laboratory tests have shown that half as much sucralose as sugar in the original recipe provides adequate sweetening. For example, if the recipe calls for 1 cup sugar per quart of water, use ½ cup sucralose instead of the sugar.” National Center for Home Food Preservation Self Study Course. Module 3. 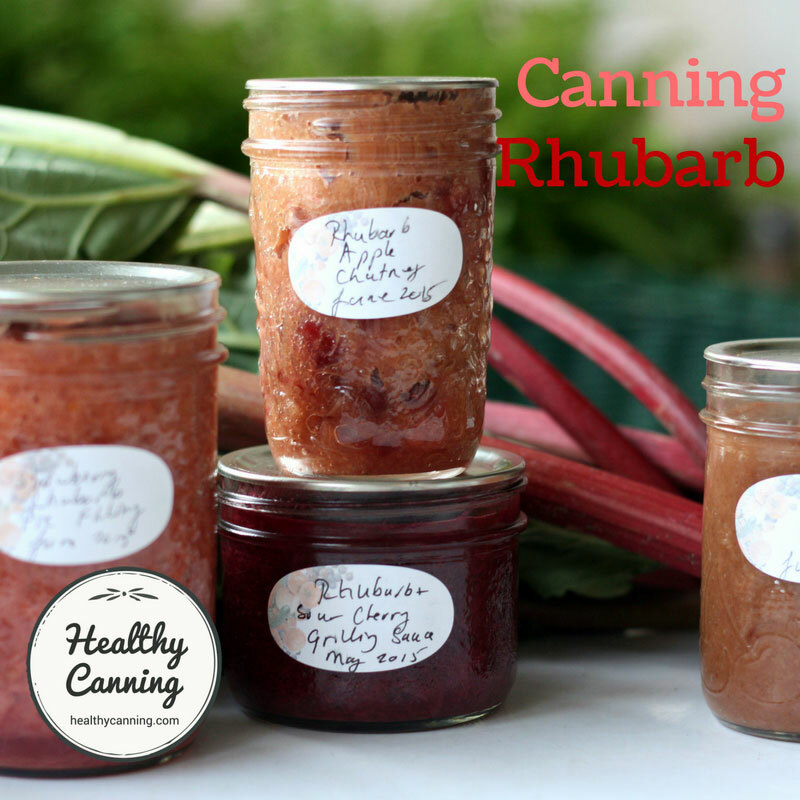 Canning Acid Foods: Canning Liquids for Fruits. Accessed March 2015.